Thinking of setting up your own business or considering self-employment? Follow HM Revenue and Customs’ simple, 10-step guide to setting up as a sole trader. 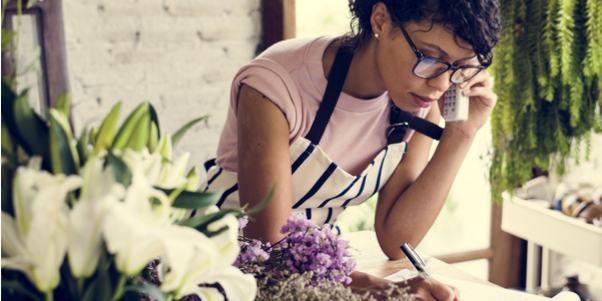 If you are newly self-employed, or are just starting up your own business you will need to let HM Revenue and Customs (HMRC) know by registering for business taxes. You'll be asked for information about yourself and your business/ self employment. HMRC will then set up tax records for you using the information you provide. Your National Insurance number. In most cases you'll already have this, but if you haven't worked in the United Kingdom before you'll need to get one. Once you've registered for Self Assessment, HMRC will set up your records and send you a letter with a 10-digit reference, called a Unique Taxpayer Reference (UTR). You should keep your Unique Taxpayer Reference in a safe place as it will be needed for SA purposes and in all subsequent correspondence you may have with us. If you're self-employed as a sole trader or a business partner, you'll usually need to arrange to pay your Class 2 National Insurance contributions straight away. You will also need to ensure proper IR35 adherences. This legislation was introduced in 2000 as a way of combatting 'disguised employment'. Thus preventing contractors taking payment through their own limited company, while essentially working within an employment arrangement, as a means of avoiding tax. You can be charged interest and penalties on any Income Tax or NICs owed if you’ve not applied the off-payroll working rules. The IR35 is a complex regulation so you'll need to do your research. You can find out more here. You may also need to register for VAT and the Construction Industry Scheme (see contacts below for more information). Once you’ve registered as self-employed, you will need to keep business records such as your accounts, evidence of tax that's been paid and other records relating to income and outgoings. You'll need these to help you complete your tax return or to answer any questions from HMRC about a return you've completed. Important documents to retain include: cashbooks, invoices, mileage records, bank statements, receipts for purchases and your P60s if you are also employed. Records can be kept either on paper or computer. If done electronically, then keep a back-up. As a rule, records should be kept for a minimum of six years. The first payment on account for the 2018/2019 tax year is due by 31 January 2019. The tax year ends on 5 April and anyone who is required to file a tax return will receive a notice advising them to file a return for the tax year just ended. If you are newly self-employed, you need to register with the HMRC for tax and National Insurance for this to happen. The second payment on account for the tax year ending the previous 5 April is due. For example, for the tax year 2018/2019, the second payment on account will be due 31 July 2019. The self-employed will need to have registered with the HMRC for tax returns by this date. If you are sending HMRC a paper tax return this must be submitted by the 31 October. If you send the form after this date there will be a penalty even if you have no tax to pay. If you file your tax return online, you will need to submit it by this date if you have employment or pension income and want HMRC to collect the self-employed tax through your PAYE tax code. Bear in mind that while there may be some exceptions to these deadlines, if your tax return or payment is late you will have to pay a penalty. For further more information visit HMRC's website.